According to data from Rystad Energy, overall global oil output will fall this year as natural depletion overwhelms all new sources of supply. But the deficit will only widen in the years ahead due to the dramatic scaling back in spending on new exploration and development. Statoil says that global capex is set to fall for two years in a row, and is on track to fall for a third year in 2017 as more spending cuts are likely. "For the first time in history, we've seen cutting of capex two years in a row and potentially we risk a third year as well for 2017," Statoil's Chief Financial Officer Hans Jakob Hegge told Bloomberg in a recent interview. "It might be that we see quite a dramatic reduction in replacing the capacity and of course that will have an impact, eventually, on price." Oil companies are making painful cuts to spending, which will translate into much lower production than expected in the years ahead. Although markets have dealt with the supply overhang for the better part of two years, the surplus could flip to a deficit as early as this year, as declines exceed new sources of production by a few hundred thousand barrels per day. That widens to more than a million barrels per day in both 2017 and 2018. To be sure, there are extremely large volumes of oil sitting in storage, which will take a few years to work through. That will prevent any short-term price spike even if depletion surpasses new production. But Statoil's CFO said the world could start to see supply problems by 2020. 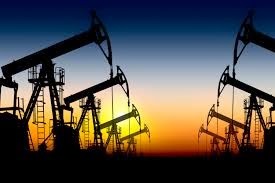 According to a separate report from SAFE, a Washington-based think tank, the oil industry has cut somewhere around $225 billion in capex in 2015 and 2016, which will lead to global supplies 4 million barrels per day lower in 2018-2020, compared to what market analysts expected as of 2014. Of course, these figures are not inevitable. A sharp rise in oil prices would spur new investment and new drilling. In other words, deficits create profit opportunities for drillers, ushering in new supplies. The price acts as a self-correcting mechanism. The problem is that, unlike many other industries, resource extraction is extremely volatile, with supply responses very delayed. Many oil projects, after all, take years to develop. Supply overshot demand, crashed prices, and in response, supplies will undershoot demand in the next few years. The industry has always suffered from booms and busts, and there is little reason to think that it will change, at least in the short run. But we tend to have a myopic view on what to expect. When oil prices go up, people buy fuel efficient cars. When they go down, SUVs are back in style. When the world is dealing with too much supply, market watchers predict oil prices will stay low for years to come. If spot oil prices suddenly rise, forecasts are revised sharply upwards. Here's another example: the WSJ reports that oil prices are entering a "sweet spot," a range between $50 and $60 per barrel that could finally be good for the global economy – low enough to provide consumers with a bit of a stimulus, but high enough to keep the industry and capital spending afloat. Also, crude at $50, as opposed to $30, can provide a bit of inflation to the deflation-beset economies in Europe and Japan. "Crude between $50 and $60 would be the absolute sweet spot," Mark Watkins, regional investment manager at U.S. Bank Wealth Management, told the WSJ. "Everybody wins there." That is all well and good, but who expects oil to trade between $50 and $60 for any lengthy period of time? If there is one thing that we have learned over the past two years, it is that nobody has a crystal ball on prices. And if the industry indeed cuts capex for three consecutive years, at a time when demand continues to rise, the one thing we can be sure of is more volatility.